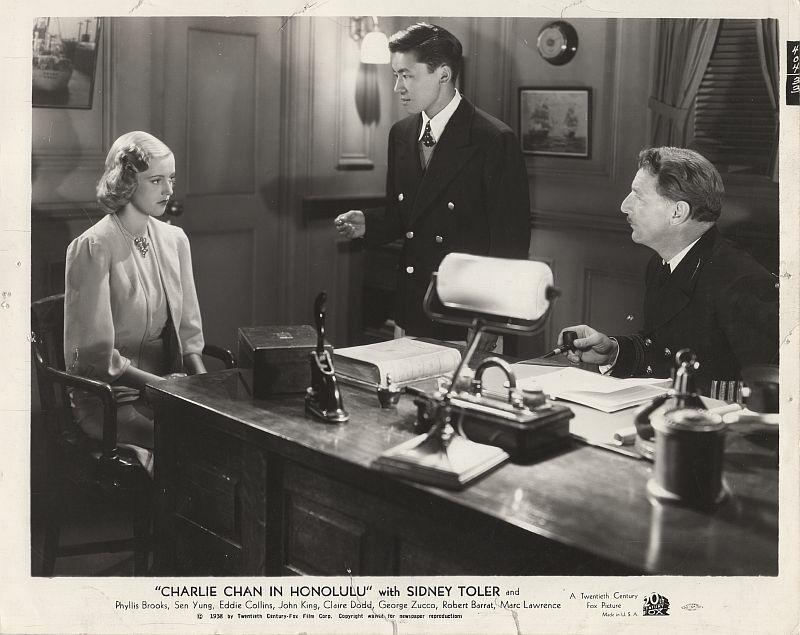 Charlie Chan questions Judy Hayes with George Randoph. 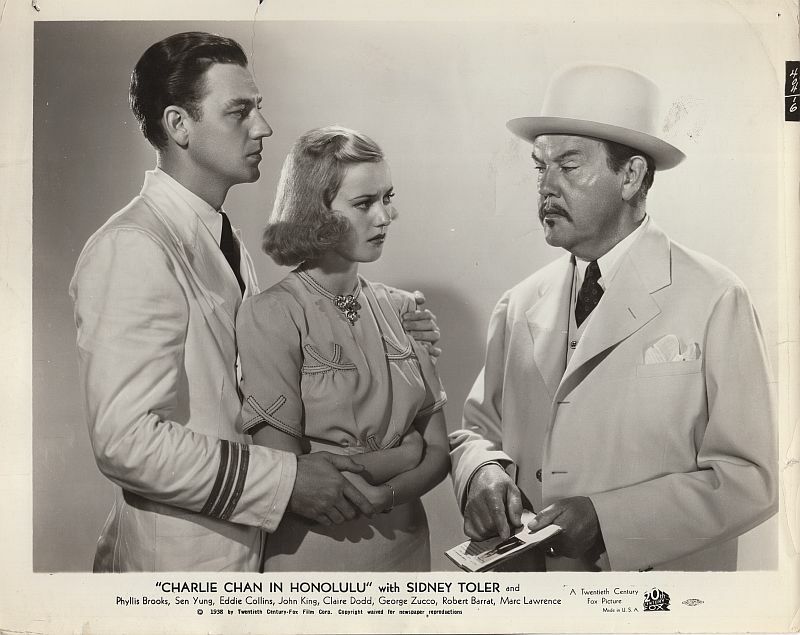 Charlie Chan with Judy Hayes and Captain Johnson. 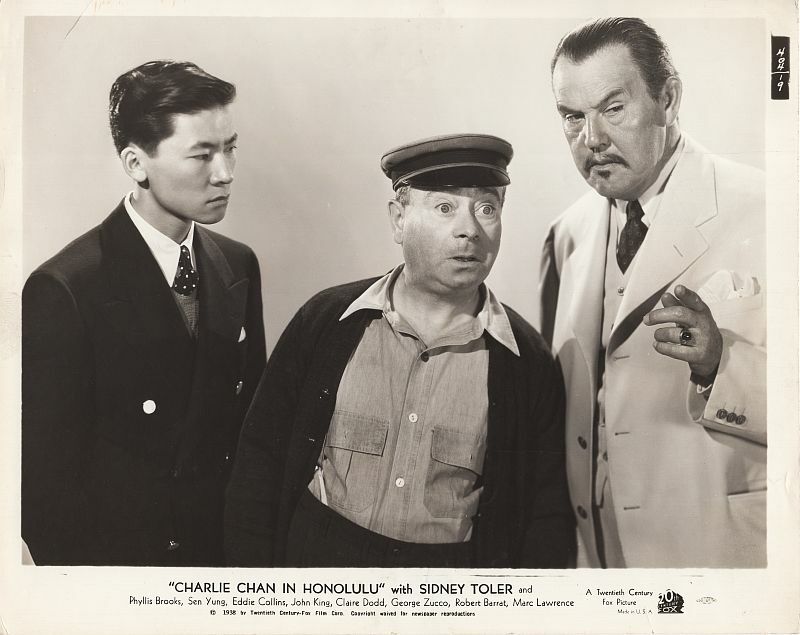 Charlie Chan and Number Two Son, Jimmy, with animal keeper Al Hogan. 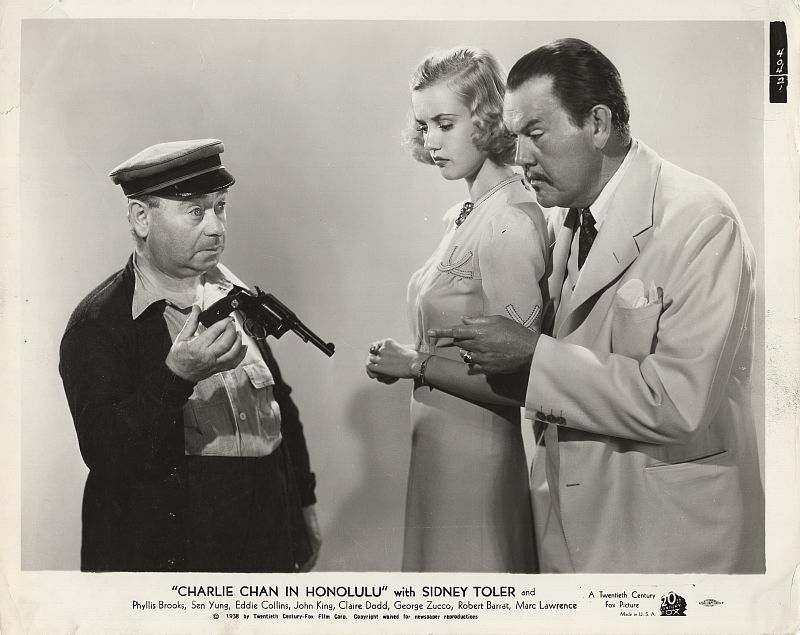 Al Hogan shows Charlie Chan and Judy Hayes a pistol he found. 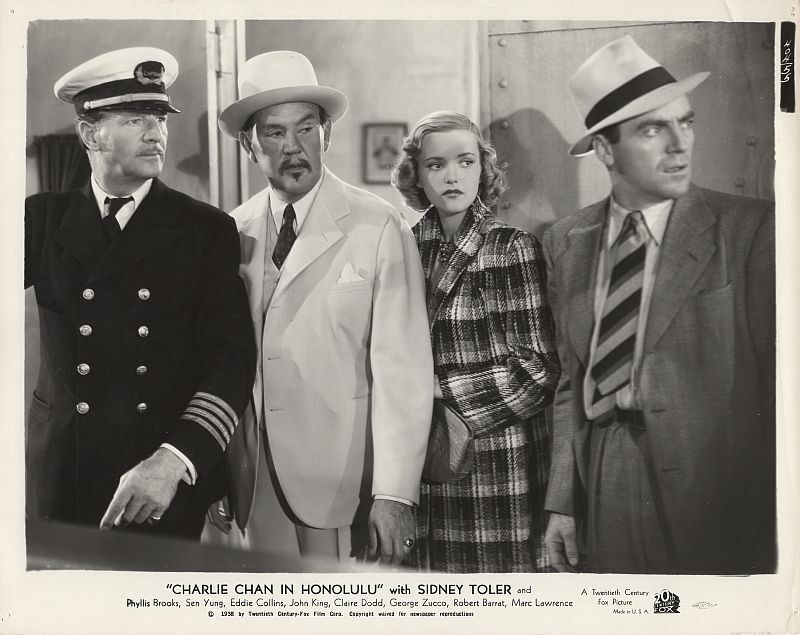 Charlie Chan, accompanied by three of Honolulu's Finest, boards the Susan B. Jennings. 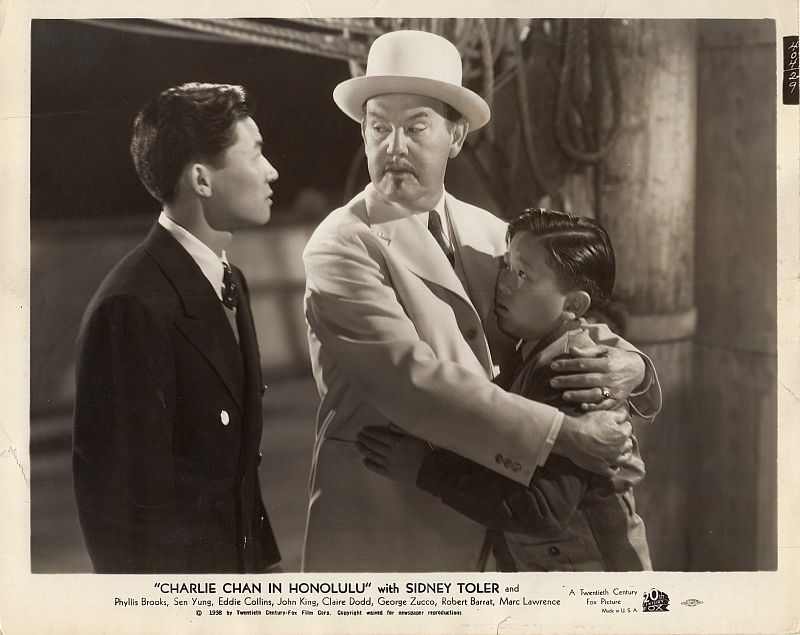 Charlie Chan arrives to find sons Jimmy and Tommy aboard the Susan B. Jennings. 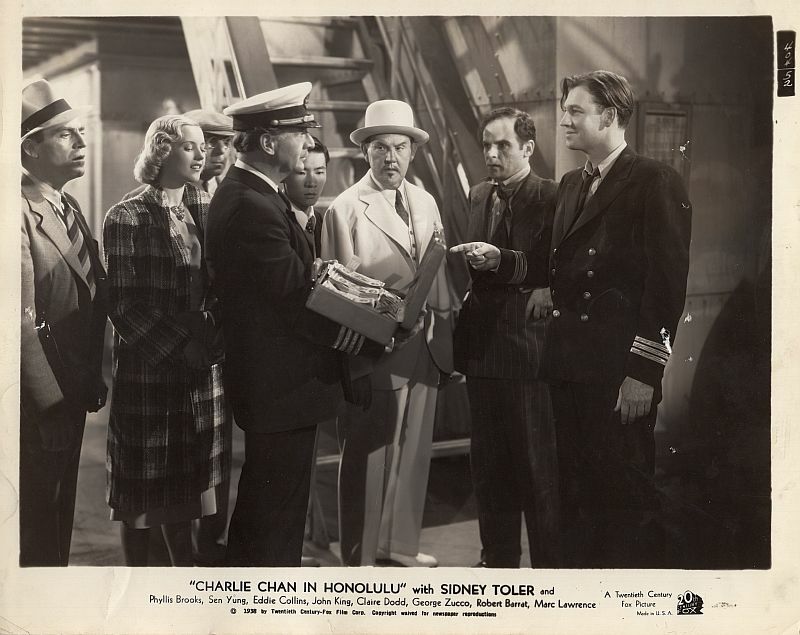 questions Judy Hayes and Captain Johnson aboard the Susan B. Jennings. 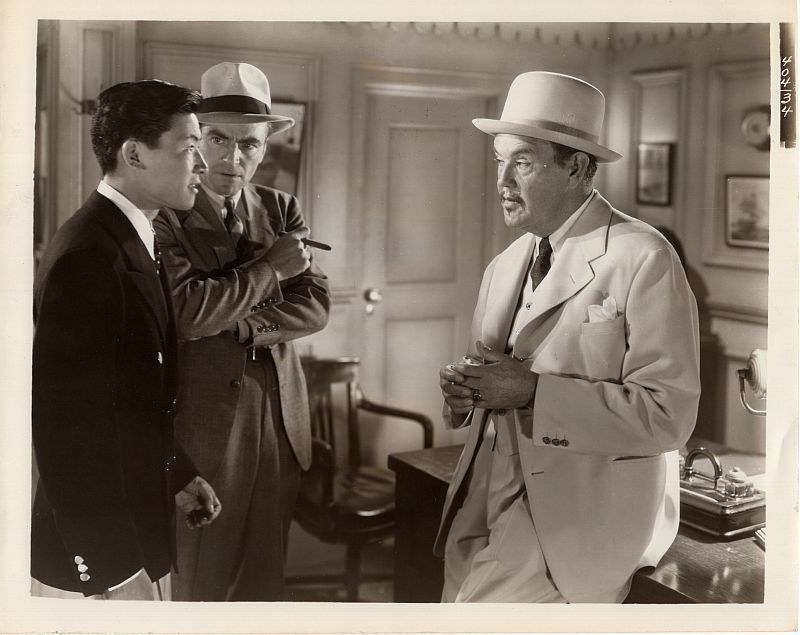 Charlie Chan, Number Two son, Jimmy, and Detective Joe Arnold discuss the situation. 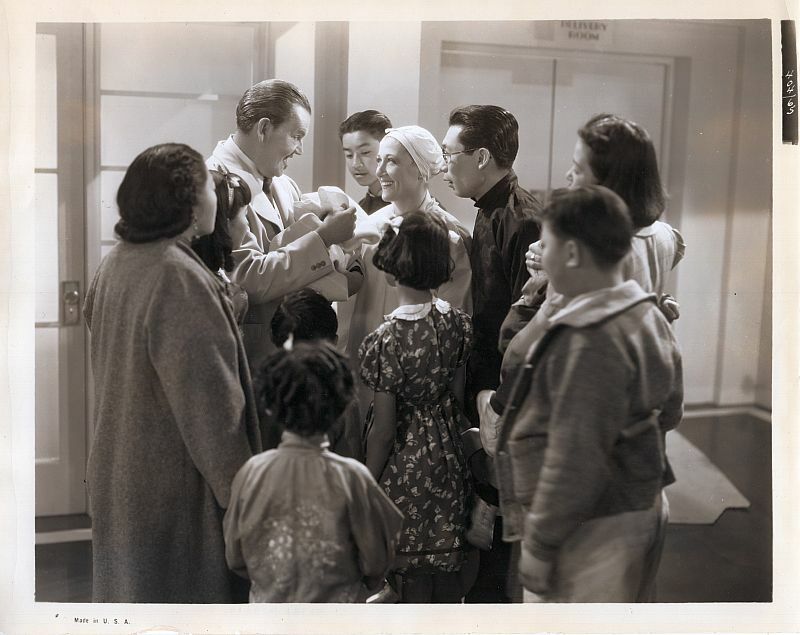 Charlie Chan notes that Carol Wayne's hand bears the markings of a missing ring. 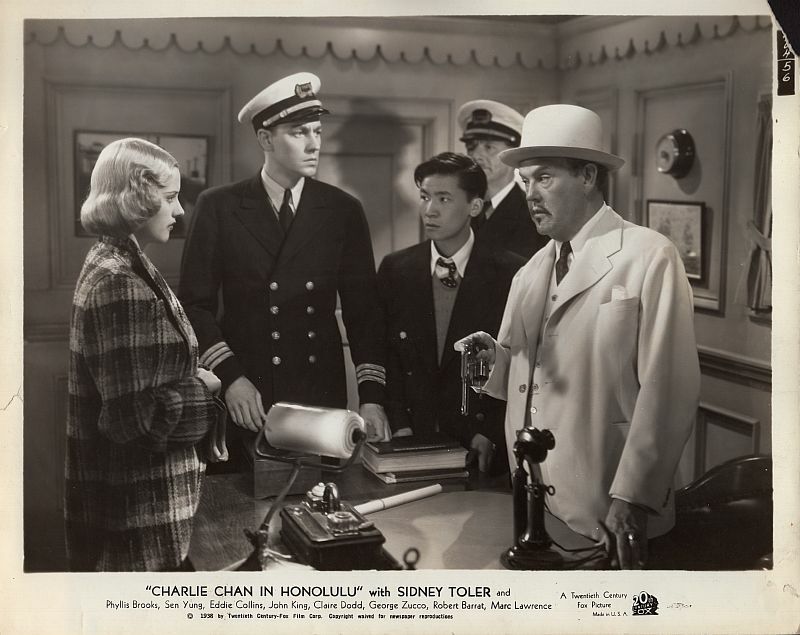 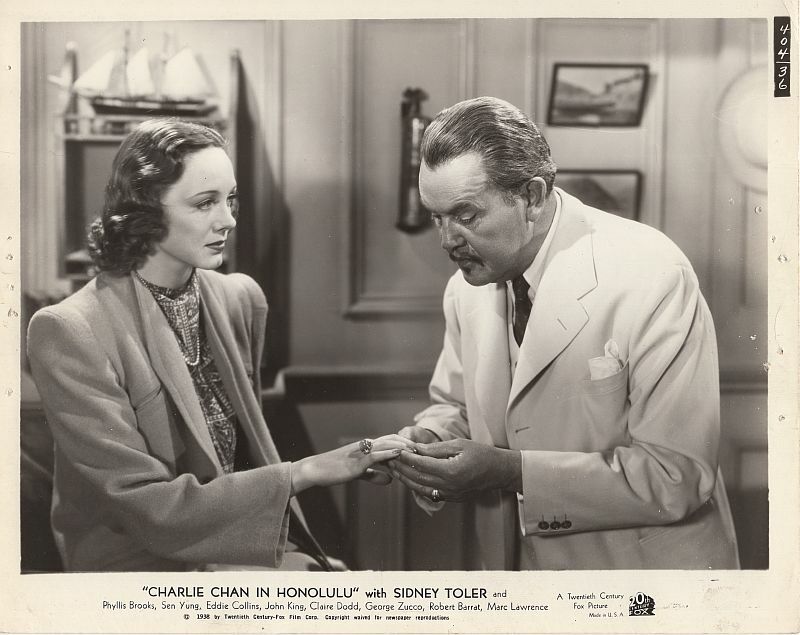 McCoy, shows Charlie Chan the recovered valise containing missing money. 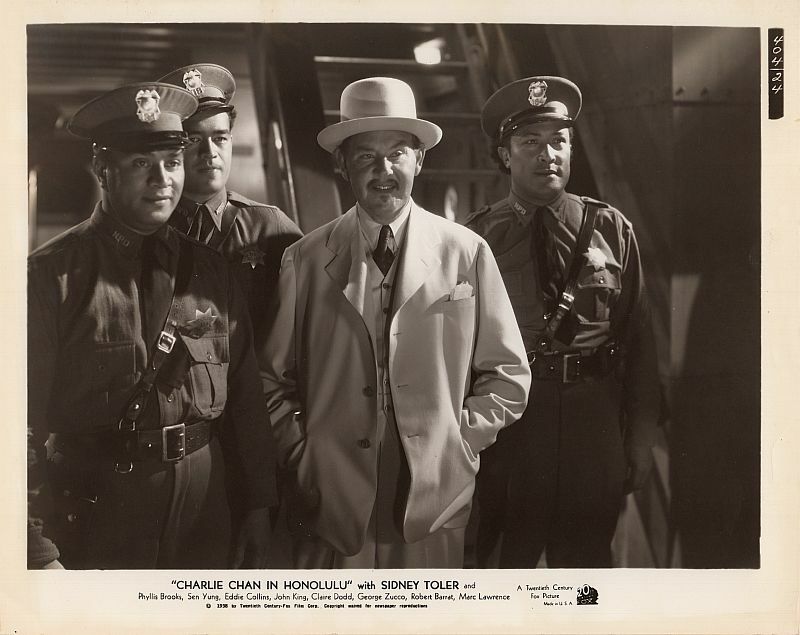 Captain Johnson, Charlie Chan, Judy Hayes, and Detective Joe Arnold at he rail of the Susan B. Jennings. 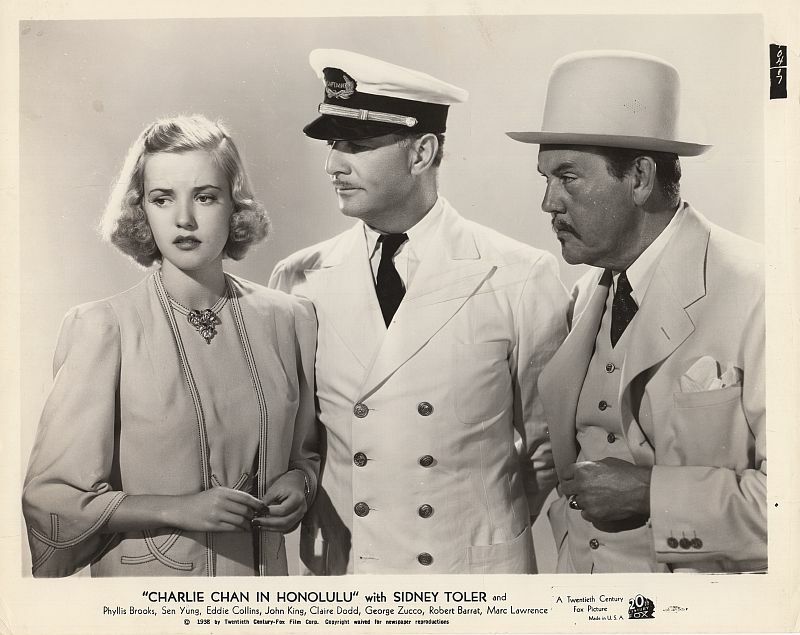 Judy Hayes is questioned in the Captain's quarters aboard the Susan B. Jennings about the pistol that was found. 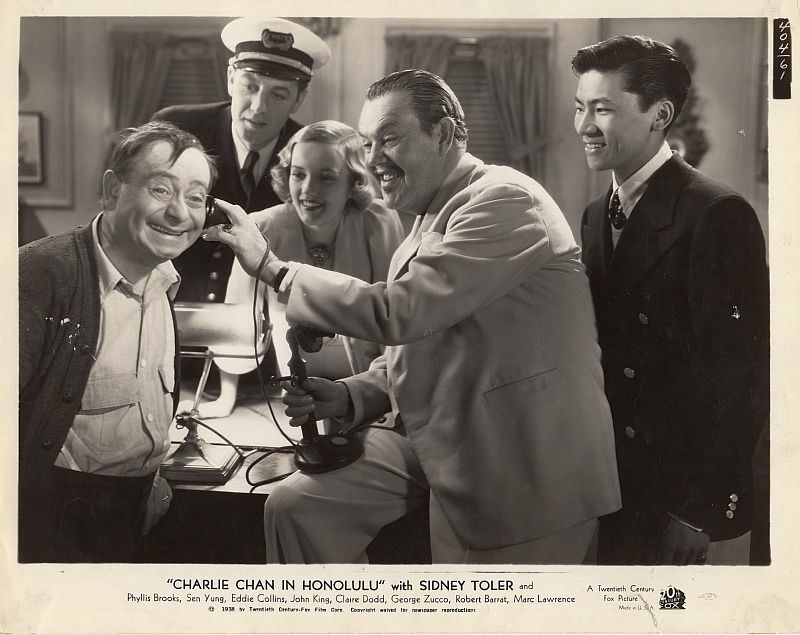 The case closed, Charlie Chan shares the joy of the birth of his first grandchild with Al Hogan and others. 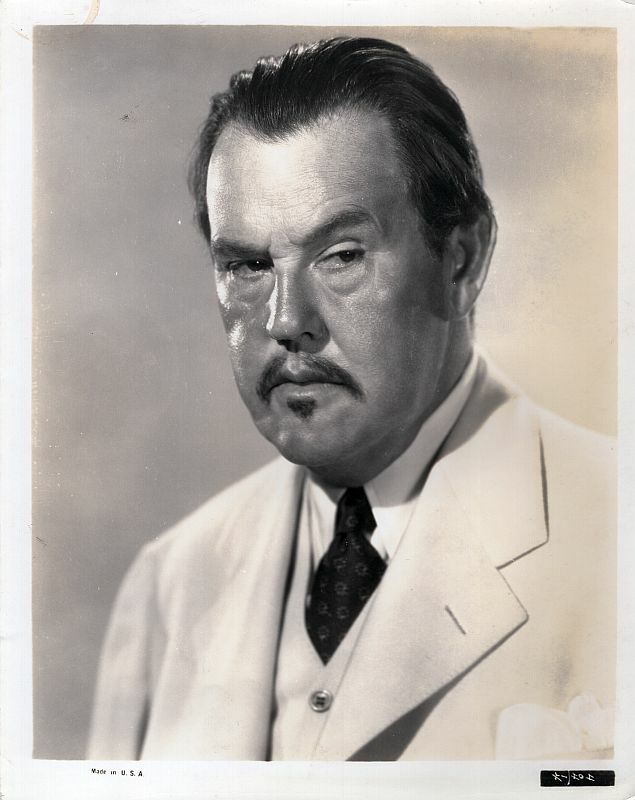 with a newborn baby he mistakenly thinks is his new grandchild. 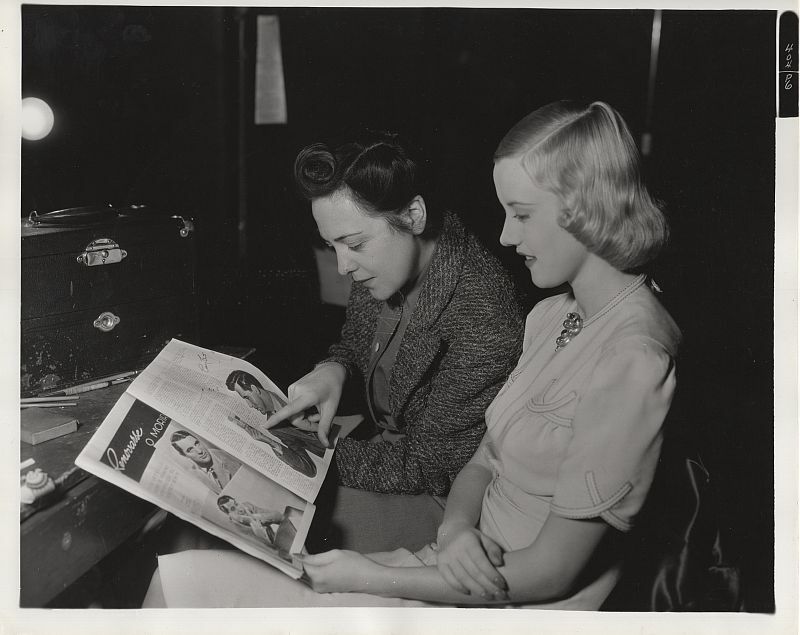 well pleased with what she is hearing."